Just wanted to share an update I got from Cayman Is registry today.. this follows a telephone call from a head chef on a Cayman flag yacht who asked my advice. He had just joined the 75m+ yacht and been told he needed the ‘advanced’ food safety course.. 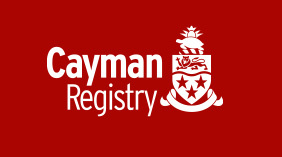 So I contacted Cayman Registry and got the replies below which I am therefore sharing with you all.. Relates to which food safety courses they accept on their flagged vessels. Basically they (Cayman Registry) want to see chefs have an ADVANCED level course.. This will be different for each country around the world but essentially if it says its advanced then it should be acceptable..
My advice is if you are working on a Caymans flagged vessel to contact them if you have any questions on this. Part 2, 6.1 to 6.5 covers what they accept regarding SCC. In UK this equates to the CIEH Level 4 course which is 5 days. Here is what I received from them today..
As per our Shipping Notice we accept existing experience on shore or on a vessel and do not require a Ships Cook Certificate as there is no internationally agreed qualification, though we accept SCC qualifications from certain countries, however even if existing experience is accepted all chefs on vessel of 10 or more crew MUST have also completed a course in advanced food hygiene and preparation. This must be done face-to-face and cannot be completed online. 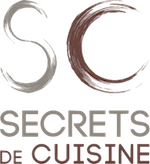 It is for the chef and shipowner to demonstrate that they have this qualification. Thanks, appreciate the prompt reply and will let my chefs know.. Interesting that you require Advanced food hygiene.. I had thought it was intermediate.. Good thing is that with Advanced the chefs can then train all other crew so whole yacht has the right training in food hygiene.. It is management level we require and though the exact level varies with provider I believe that is normally level 3 but we are interested in the advanced element rather than the level number. It is obviously beneficial if the chefs can train other crew as part of their familiarisation as all crew involved in food handling such as Stews require training in basic hygiene and preparation. Hi again, just to 100% clarify.. as long as its an advanced course, you will accept.. not the level number..
Just want to make sure I give right info.. In UK Level 4 as I understand is termed ‘Advanced’. The Level 3 is intermediate.. Yes advanced/management level is the key not the number. Cannot comment on specific courses but the level looks correct for each they will need to ensure that the syllabus covers advanced hygiene. Open the pdf and scroll down to page 4 and you will see their guidelines on food Hygiene.